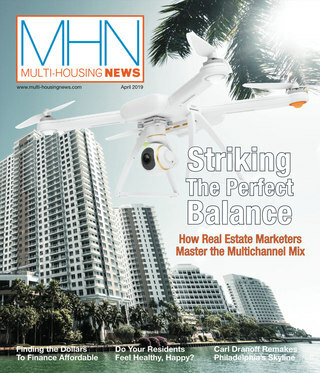 The MHN editors have selected this year's judges, who represent expertise across all multifamily disciplines, for the 2011 Excellence Awards. The panel of judges for the 2011 MHN Excellence Awards has been finalized. Bios for the judges can be found below. Maria de las Mercedes Farrando, Int’l Assoc. AIA is director of design services at Beacon Communities in Boston. She works closely with Beacon’s development, management and operations team, as well as with outside architects and contractors and is involved with all aspects of building-design to create integrated design concepts. Before joining Beacon, Farrando worked as a designer of high-end kitchens and bathrooms; she has won a wide range of awards in that field, and her work has been published in design magazines and major trade publications. Farrando received a Master’s degree in Architecture, Design and Planning from the Universidad de Buenos Aires in 1992. She is an Associate International Member of the AIA (American Institute of Architects), and an active member of CPAU (Consejo Profesional de Arquitectura y Urbanismo) of Buenos Aires. Daniel Hilpert is managing director at New York-based Mortgage Equicap LLC, a boutique commercial mortgage broker and advisor, providing clients with asset positioning and capital structure strategies. Hilpert is responsible for the company’s business operations and oversees both origination and placement of debt and equity. Prior to forming Mortgage Equicap, Hilpert ran an equity fund investing in residential developments in major urban markets. Hilpert graduated from Columbia University with a double master’s degree in Real Estate Development and Architecture. Deborah Maietta, CPM, senior vice president, SARES•REGIS Group’s Multifamily Property Management Division, currently oversees the management and operations for the firm’s entire portfolio, throughout California, Arizona and Colorado. She participates in the due diligence and underwriting of acquisitions and new development within the Southern California region. Prior to joining SARES•REGIS Group, Maietta served as asset manager with Atherton-Newport Investments, overseeing the positioning of value-added assets for a portfolio of nine multifamily communities in the Seattle area. Previously, Maietta worked for Equity Residential, managing the operations and transition for privatization of military housing at Ft. Lewis in Washington, and portfolio regional management in Seattle and Northern California. Maietta has earned a Real Estate License and is a Certified Property Manager from the Institute of Real Estate Management. She served as past secretary of the Board of Directors of CREW-OC. Sanford P. Steinberg, AIA, CGP, is principal of Houston-based Steinberg Design Collaborative LLP. His firm has participated in the completion of over 3,000 projects throughout the country, which encompasses over 700,000 units. Steinberg has received his Certified Green Professional Designation from the NAHB. He serves on the board of trustees for the NAHB Multifamily Council, was past chairman of the NAHB Design Committee and currently sits on the committee. Currently he is the National Chairman for the AIA Custom Residential Knowledge Committee, and he also serves on the Board of Directors for Dynamo Charities. Doug Walker is senior vice president – transactions at UDR. He is responsible for the direction of recurring capital expenditures for asset preservation, initial capital expenditures relating to acquisitions, insurance claims, UDR non-residential real estate and the company’s “Green Building” program. 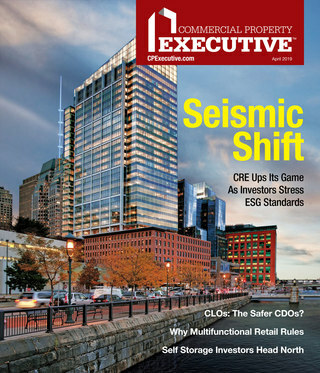 He has authored green building articles for industry publications and has been recognized by the EPA and the Department of Energy for his contributions to the commercial real estate industry. Prior to joining UDR, Walker served as a consultant to the multifamily industry. He was president of Harwood Management, a division of Harwood International, from 1994 to 2002, where he was responsible for operations of an $800 million portfolio of properties in Europe and the U.S. Walker serves on the National Multi Housing Council’s (NMHC) Sustainability Committee and The Real Estate Roundtable’s Sustainability Policy Advisory Committee. You can download the entry form and guidelines to the awards program here.